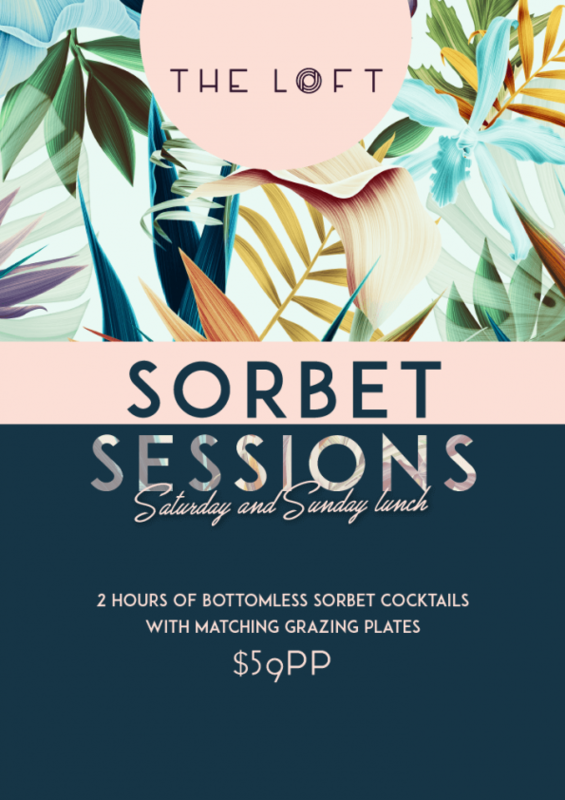 Head upstairs to The Loft for Sorbet Sessions; 2 hours of bottomless Sorbet Cocktails with matching grazing style food. Available every Saturday and Sunday from 12-2:30pm. or call (02) 8322 2006.